To claim this profile, please confirm you are Eddie Perez. To follow this profile, please let us know your relationship to Eddie Perez. Eddie's volleyball stats have been updated for the loss vs. Providence. RESULTLoss Boys varsity volleyball vs. Providence. The Rio Hondo Prep varsity volleyball team lost Tuesday's home conference match against Providence (Burbank, CA) by a score of 3-1. Eddie was selected the Player of the Match in the volleyball match against Polytechnic on Fri, Apr 19 2019. Congratulations to #24 Eddie Perez for being selected the Rio Hondo Prep Boys Volleyball Player of the Match. Eddie's volleyball stats have been updated for the win vs. Polytechnic. RESULTWin Boys varsity volleyball vs. Polytechnic. The Rio Hondo Prep varsity volleyball team won Friday's home conference match against rival school Polytechnic (Pasadena, CA) by a score of 3-0. Eddie was selected the Player of the Match in the volleyball match against Whittier Christian on Sat, Feb 16 2019. Eddie was selected the Player of the Match in the volleyball match against El Rancho on Sat, Feb 23 2019. Eddie was selected the Player of the Match in the volleyball match against Maranatha on Tue, Mar 05 2019. 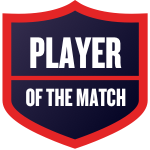 Eddie was selected the Player of the Match in the volleyball match against Sierra Vista on Fri, Mar 08 2019. Eddie's volleyball stats have been updated for the loss @ Flintridge Prep. RESULTLoss Boys varsity volleyball @ Flintridge Prep. The Rio Hondo Prep varsity volleyball team lost Thursday's away conference match against Flintridge Prep (La Canada, CA) by a score of 3-0. Eddie's volleyball stats have been updated for the win @ Chadwick. RESULTWin Boys varsity volleyball @ Chadwick. The Rio Hondo Prep varsity volleyball team won Tuesday's away conference match against Chadwick (Palos Verdes Peninsula, CA) by a score of 3-1. Eddie's volleyball stats have been updated for the loss @ Providence. RESULTLoss Boys varsity volleyball @ Providence. The Rio Hondo Prep varsity volleyball team lost Friday's away conference match against Providence (Burbank, CA) by a score of 3-0. Eddie's volleyball stats have been updated for the win @ Polytechnic. RESULTWin Boys varsity volleyball @ Polytechnic. The Rio Hondo Prep varsity volleyball team won Wednesday's away conference match against rival school Polytechnic (Pasadena, CA) by a score of 3-0. Eddie's volleyball stats have been updated for the win @ Monrovia. RESULTWin Boys varsity volleyball @ Monrovia. The Rio Hondo Prep varsity volleyball team won Tuesday's away non-conference match against Monrovia (CA) by a score of 3-2.